Awesome! 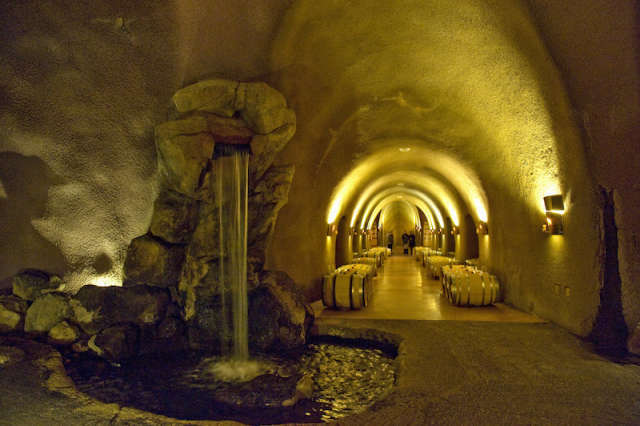 Have you been on Napa Valley wine cave tours? Sure, a road trip to Napa Valley is beautiful- the gentle hills lined with vineyards and the romantic tasting rooms with their verandas looking over the winery estates, but some of the coolest things to see in Napa aren’t outdoors at all. We’re talking about the wine caves, and here are some that will blow you away. 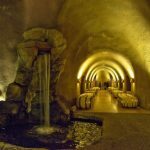 For starters, the cave at the Jarvis Winery is so big they not only age the wines in the cave but actually do all the winemaking in the 45,000 square feet of parabolic tunnels. As the cave tunnels deeper into the mountain towards what feels like the center of the world, the rooms get bigger and bigger, with some large enough for two basketball courts. The cave also taps into an underground stream and waterfall, which helps maintain the proper humidity and gives visitors an awe-inspiring sight.